Glass bottles are a common packaging material. 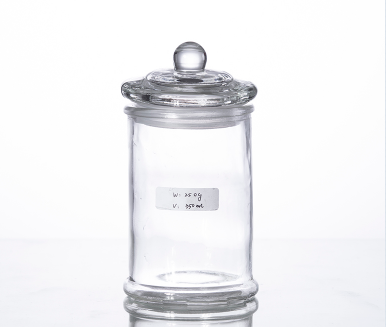 We often use glass bottles in our life, such as the Glass Storage Jar. There are many kinds of glass bottles and various types of bottles. However, in recent years, glass bottles have been impacted by various packaging materials. How to make glass bottles in the market competition? Stand firm and take advantage of market competition? In order to enable the glass bottles to quickly seize the market and avoid other packaging containers to replace the glass bottles, it can adapt to the severe situation caused by the challenges of other packaging containers. It is not enough to make glass bottles lightweight and advanced energy-saving technologies. The key is to improve labor productivity and increase production concentration. Among them, the increase in labor productivity of glass bottles such as the Glass Mason Jar is still in the process of increasing the speed of forming glass bottles. At present, the common method adopted in developed countries is to use multi-group and multi-drop forming machines. First of all, compared with plastic packaging materials, it is obvious that glass bottles have obvious friability. This requires us to improve the production materials of glass bottles and increase the glass by adding some elements without changing the original performance of the glass bottles. The crush resistance of the bottle. The glass bottle manufacturer believes that if we solve the fragile nature of the glass bottle, it will greatly increase the market share of the glass bottle and will win a better development space for the glass bottle. In order to ensure high-speed, high-quality and high-quality glass bottles such as the Glass Honey Jar, electronic timers are now used instead of the traditional cam-type drums. The use of a computer for control throughout the process ensures optimum molding conditions and high product quality. In terms of increasing production concentration, a large number of glass bottle packaging enterprises began to adopt merger and reorganization methods to increase the concentration of the glass bottle container industry, so as to optimize resources, increase scale efficiency, and enhance development capabilities. Welcome to the Xuzhou Huihe website. "Because of the focus, so professional", our company will, as always, exhaust the efforts of all employees of the company to produce high-quality products for you. Welcome new and old customers to leave a message contacting us.